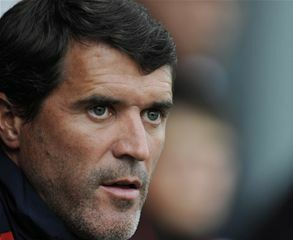 Ipswich Town manager Roy Keane has said it is only a matter of time before video technology is introduced into the game. Keane made the comments to Ipswich Town FCâ€™s website following Frank Lampardâ€™s disallowed goal during the England v Germany World Cup match on June 27.
â€œWith livelihoods in the game at stake now, and that is no exaggeration given the vast amounts of money in football, itâ€™s only a matter of time before video technology comes in. â€œIt happens in other sports and as much as I love the game as it is, if something is going to improve it, then we have to look at it. Iâ€™m sure goal line technology at least will come in over the next year or so,â€� according to Keane. FIFAâ€™S refusal to use video technology in football was in the news again this week after Lampardâ€™s shot landed a foot over the line but was not given as a goal. The game ended in a 4-1 defeat for England. The President of FIFA Seph Blatter has since confirmed that introducing goal line technology will be looked at. He said it would be â€œnonsenseâ€� not to reopen the file indicating that the issue will be discussed at the next business meeting of the International Football Association Board (IFAB) on July 21 and 22 in Wales. â€œFIFA is in charge of organising the refereeing. The question is to know what we shall do in the future. We need to continue to improve the match control. It is an ongoing process at FIFA and on my personal agenda. In October-November we will present a new model on how to improve high-level refereeing,â€� he said. â€œI deplore the obvious refereeing mistakes we have seen. I understand the teams concerned are unhappy. I have personally said â€˜I apologise for what happenedâ€™ to both England and Mexico. We have the responsibility to take the adequate measures to avoid such situations happening again,â€� Blatter added. Ipswich Town FC is part of the marcus evans group.